WASHINGTON, Jan 8 2013 (IPS) - The United States government is spending more on immigration enforcement each year than it is on all other federal law-enforcement agencies combined, according to the first comprehensive look at how the country’s sprawling immigration complex has grown over the past decade. Likewise, on a daily basis the U.S. immigration system has more people in detention – around 430,000 in fiscal year 2011 – than the entire federal prisons system. These numbers have grown dramatically in the context of the United States’ massively stepped-up counterterrorism programmes in the aftermath of the attacks of Sep. 11, 2001. Yet as years of arguments among U.S. lawmakers over how to overhaul the country’s immigration system have remained inconclusive, the result of this deadlock has been the consolidation of an ‘enforcement only’ approach. “No nation anywhere in the world has been as determined, has made as deep and expensive a commitment or has had as deep a reach in its enforcement efforts as the U.S. has had,” Demetrios G. Papademetriou, president of the Migration Policy Institute (MPI), a Washington think tank, said here on Monday. In the quarter-century since the U.S. Congress first passed legislation signalling a new, harder line on illegal immigration – the start of the ‘enforcement era’ – spending on immigration enforcement has topped some 219 billion dollars, according to a new report released by MPI on Monday, the first comprehensive look at how the many components of the U.S. immigration system have grown exponentially over the past decade. 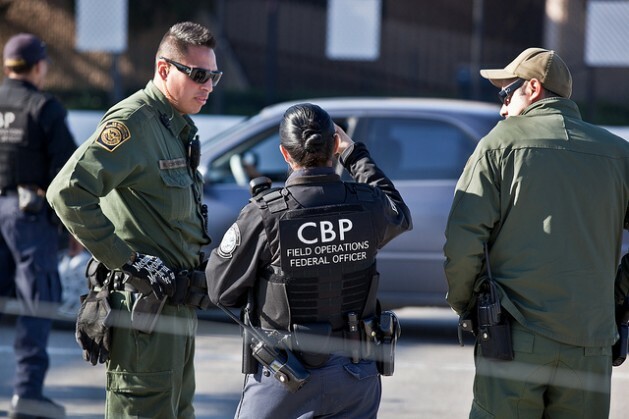 “This report is a gamer changer, confirming that Congress should not spend any additional resources on immigration enforcement, especially when our budget is so constrained,” Don Lyster, Washington director for the National Immigration Law Center, told IPS. While the 1986 legislation put in place the groundwork for today’s system, the funding and implementation only really started to strengthen following the attacks of 9/11, when immigration enforcement became a cornerstone of the country’s new counterterrorism approach. Previously, the U.S. government tended only to deport immigrants who had committed major crimes. In 1996, however, the U.S. Congress added a new category that is only used in immigration law – “aggravated felony” – which has since come to include 50 crimes in nearly three dozen categories, many of which had previously been considered to be relatively minor or even misdemeanours. The result has been an unprecedented increase in the number of criminal prosecutions for purported immigration violations. Between 2001 and 2009, criminal prosecutions for such transgressions rose sixfold, Chishti says, from 16,000 to 92,000 a year, while 50 percent of all federal prosecutions are now related to immigration. According to the report, the five federal judicial districts along the U.S.-Mexico border, home to around 10 percent of the overall population, now make up nearly half of all federal felony prosecutions in the country. Many worry that the incredible growth of the U.S. immigration system has outstripped any ability, on the part of the government or external observers, to offer substantive oversight. “When agencies grow at levels of 20 to 30 percent in a budget year – and that has happened in some years in the last decade – the accountability mechanisms can never keep up,” Doris Meissner, a former commissioner of the U.S. Immigration and Naturalization Service and co-author of the new report, warned Monday. Several trends have recently converged in the United States that have led many to suggest that Washington may now be closer to a major overhaul of its immigration system than at anytime in the past decade. Such trends include ongoing demographics changes in the country that have changed political considerations, as well as ongoing economic crunches that have forced a rethink on nearly all government expenditure. “In this belt-tightening era, our government can’t afford to continue to spend billions of dollars on immigration enforcement without a national immigration strategy,” Ali Noorani, executive director of the National Immigration Forum, here in Washington, said in analysis e-mailed to IPS. Yet even as momentum gathers for a renewed immigration discussion here in Washington, change may not be as straightforward as some hope. Among other considerations, the machinery may have simply become too large. Although President Barack Obama has said that comprehensive immigration reform would be one of the top priorities of his second term, his first term actually set a record for deportations – some 1.6 million in the last four years. “Many have questioned why an administration devoted to comprehensive reform would remove the greatest number of people of any administration in U.S. history,” Donald Kerwin, executive director for the Center for Migration Studies, an educational institute, and co-author of the new report, said Monday.